There are broadly four types of parts available for your Land Rover, five types of distributor and two types of retailer. The price you pay and the quality you get is determined buy a combination of these suppliers, type of part and the retailer you buy from. 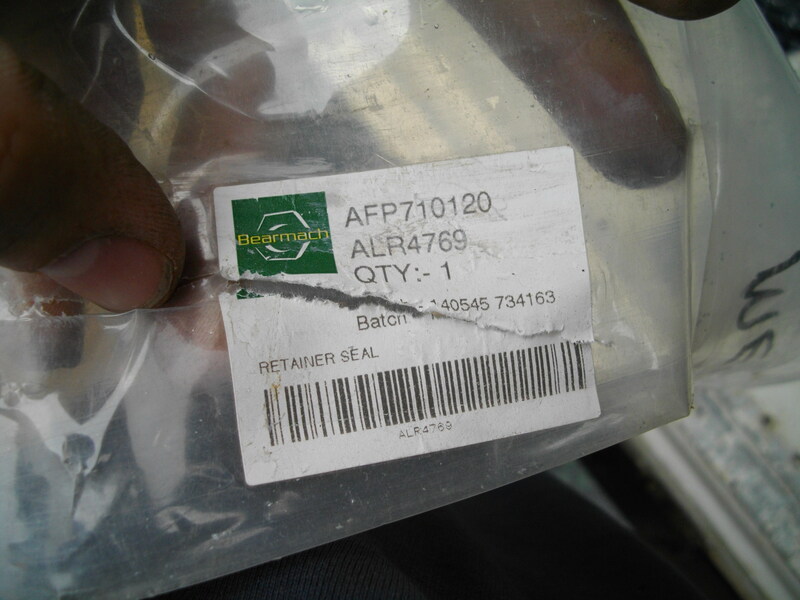 Genuine parts pass through Land Rover's hands. The parts pass their quality standard and are equivalent to what is fitted when the vehicle is built. They are supplied with a Land Rover logo in a sealed bag and typically have an inflated price. 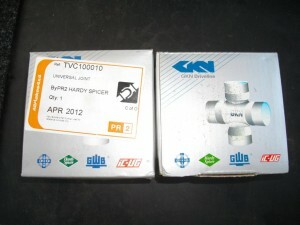 OEM parts are those which come direct from the manufacturer (instead of passing through Land Rover). Land Rover does not make brake cylinders, vaccuum pumps, bearings, etc. so these are parts that come from the same factory as would be sourced by Land Rover, but without the price markup. 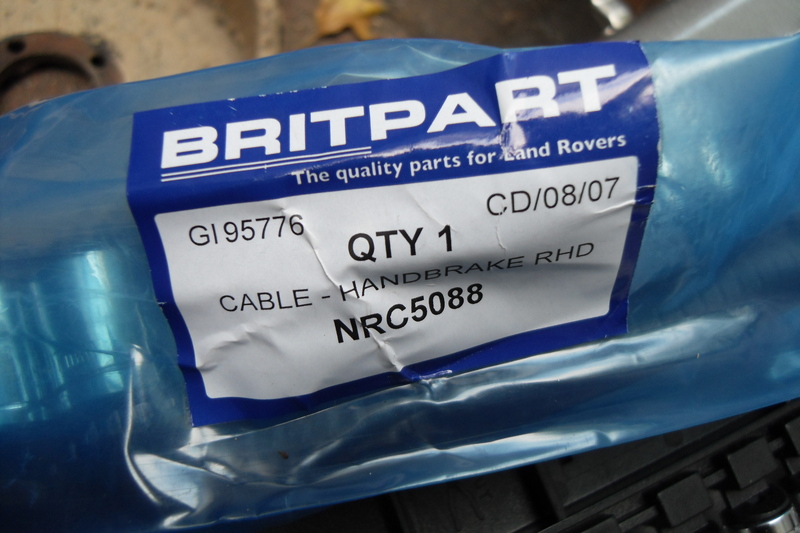 So typically this seems like the best of both worlds, but be warned that a part labelled OEM only means that it comes from the same company as supplied the type of part that Land Rover use. It does not however, mean that the part is the same specification as requested by Land Rover for a new build. A great example of this are the differences found with Universal joints. Aftermarket, replacement or pattern parts are made by a company that has no connection with the original supply of parts to Land Rover. They are either OEM manufacturers for other brands and supply a part from their range that fits, or made by a manufacturer that copies the original part. There may be an element of reverse engineering of a component, no knowledge of the original specification, usage of inferior materials or worse manufacturing tolerances. The opposite may be true, as a manufaturer may have the same tooling press that makes the same part for Land Rover. So these typeof parts can be a bit hit and miss, but that's why they're cheap. Modified parts is my way of saying manufacturers that create parts that are not necessarily related to the original part in form or function, but provide an "upgraded", "heavier duty" or "cosmetically enhanced" version of a part. This is are extremely lucrative market for what is essentially a hobby industry (meaning people will seek to spend money on their hobby to personalise/enhance their vehicle). The competion is fierce and the range of options is vast, so the importance of branding is high. Such companies include Gwyn Lewis, X-Eng and Terrafirma provide parts that seek to improve upon Land Rover's design, or other OEM manufacturers may provide parts to a better spec such as shock absorbers with Old Man Emu or Bilstein. 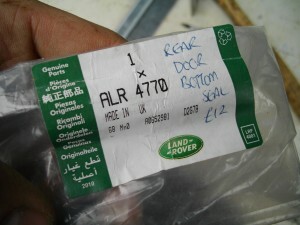 The supply of parts for Land Rovers is quite lucrative, as it is a very popular DIY vehicle. As such, there are companies that operate by buying and sourcing parts for resale. These companies do not sell parts to consumers directly but act as wholesalers. Land Rover supply parts to their dealer network. They will only be genuine parts. Britpart are probably the biggest (read, most pervasive) distributor of parts, aiming at the lower cost sector of the market, and garner a dubious reputation as do many low cost, high volume companies. Britpart have typically supplied aftermarket, pattern parts to help bring the costs down, but the quality can sometimes be of suspect quality. This reputation is rife amongst the different forums here, here, here and here. Britpart do also supply OEM and genuine parts, but it is difficult to know as they are removed from their original packaging and placed into blue bags. Sometimes parts sold as genuine do not appear to be as such. To remedy their poor reputation, Britpart supply a 24 month guarantee, but is only makes a difference if you send it back. Bearmach as opposed to Britpart have a better reputation for parts that do fit on first attempt and tend to have clearer labelling about their sources at point of purchase. They are slightly more expensive on most parts. Allmakes usually supply a lot of aftermarket parts, but have a PR2 range that is supposedly of higher quality. This is more likely an OEM sourced item. "Unbranded" refers to a part that has no affiliation or logo, so it's origin cannot be determined. These are what can be found at Land Rover shows and sortouts. Their lack of markings means that the quality can be dire as there is no brand to pin a backlash against. Land Rover dealers will only sell Genuine parts, and hence the Genuine prices that go with it. If you are on the lookout for a Genuine part, then a dealer is a good place to go. You know exactly what you're getting and there's probably a dealer not that far from where you live with stock on the shelf. Independent retailers will buy their stock from distributors or Land Rover itself. They have varying reputations themselves. Some give an option of the brand of part you can supply and others will supply Britpart no matter what you order. Some will have stock on the shelf and others will have to order it in. Some will have counters you can visit if local and others will be online only. You can write reviews of retailers on this site to let others know your experiences and read the article on which retailer should I choose? Which part should I buy? So now you're left wondering, which part should I buy? Alongside new parts, there is also a fruitful industry in second hand parts from dismantled vehicles.